Popular among Builders, Civil Construction and Agricultural industries, this generator produces an imposing 7600 watts continuously to run welders, compressors, jackhammers, larger pumps, site offices and other heavy duty equipment on the work site. The 27 litre fuel tank enables 7.1 hours of non-stop run time on an 80% load. 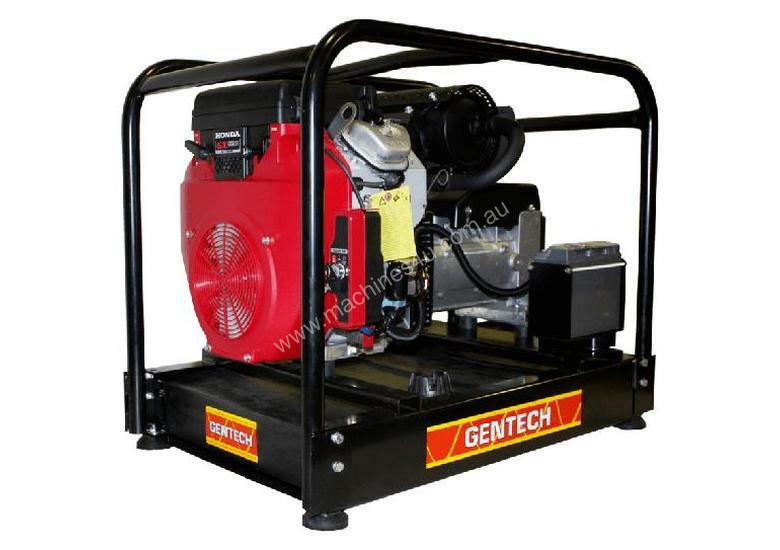 Powered by a Honda V Twin GX630 and coupled with an Italian-made NSM alternator, this powerful trade generator features the convenience of electric start and 2 x 15 amp outlets. Optional add-ons include wheel kit, earth leakage protection, and remote starting kit. Compete with 2 year generator warranty and full national Honda service agent network. 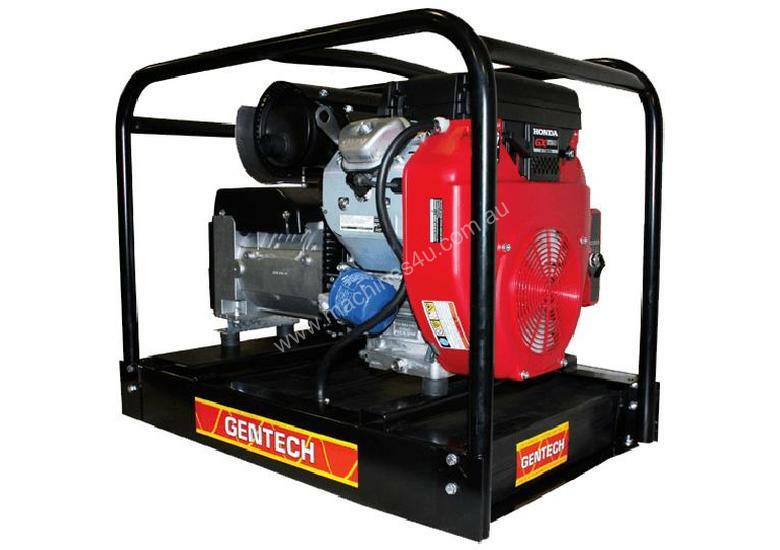 The Honda engine comes with a 3 year warranty.RRP: $4,408Voltage230VContinuous Output7600 wattsAlternator TypeNSMEngineHonda V Twin GX630Starting MethodElectric StartFuel Tank Capacity27LCont. Working Time7.1hrs 80% loadNoise 7m75 dBAProduct Dimensions (mm) LxWxH876 x 546 x 700 mm (L x W x H)Net Weight (kg)110.0 KgFuelUnleadedRated Power Factor0.8Outlets2 x 15 Amp outletsEngine Warranty3 year engine warrantyManufacturers Warranty2 year generator warrantyNOTEThis is a portable air-cooled petrol generator designed for short term/standby applications. For prime/continuous power, a stationary water-cooled diesel generator is recommended.